Hopefully you came here because you want maximum exposure for your brand. The CWA Partner of the Month Program allows you to reach your audience all month long! Become our focused brand for an entire month! We are currently reserving for March 2017- December 2017. Your message will go out . . . Here in the CWA Community, your graphic (sized 910 x 130) will be straight across the top. It's right under the Menu Bar and is shown on Every Page of this Community. It will link over to where ever you want. Over at CWARadio.com Your Branded Graphics will be located on the bottom of the main page. It will link over to where ever you want. We will 'Promote' a post for you to receive the best reach. A full rectangle graphic that we will feature the width of the page (size: 843 x 400). Again, we will promote it through Facebook with a Budget of $10. These Promoted Posts/Stories run for around 4 days via Facebook. I have been very successful with this. I will make sure your important FB links and others are included in the Description. You can let me know what part of the month you want this to run. We highly encourage you to be 'active' on this post. Our CWAtweets Account has over 1300 Followers. We will Tweet Out with your 140 including you are Our Partner this month. We will do this at least 3 times a week. If you have an RSS feed to a blog I will include it to Automatically be included in our Christian Women's Daily Newspaper for the month. NEW NOTE: I have upped our Newspaper to be Pro and now also include the top right corner ad space to our Partner that month. It shows up on every page of our paper. Email Blast to our list of over 2000 Christian Women. You will prepare a short, catchy email that I will Share with all of our list. Shouting out and Celebrating Our Partner for the month. Of course including all links, and your Graphic. Make it good, simple, engaging. This will go out the first week of the Month so it becomes known that YOU are Our Partner for that month. 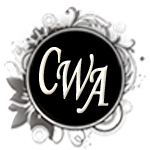 You will also have a 125x125 ad in the official CWA Newsletters that coordinate to your month's partnership. This is the one part that is NOT included as a Partner. But it is something that has been extremely successful when combined with your Partner Month. This is done on a case by case scenario. I look at what you do and see how we could best serve you through the Crew. Most Custom Crews are built using 20 Women. Please include that you'd like more info on this when applying. You can have all of the above and forever be featured on our Past Partner Page for only $300! Who can put a price on it? Broken down, the benefits above would be at least triple that. Plus, you are actually sowing into an amazing ministry. *Use High Quality Graphics. Do not try to just adjust size to work. This is YOUR Brand in front of 1000's of Christian Women. Represent. If you have current graphics that I can work with, especially any psd, pse files of images I can adjust your Graphics. Contact me for price as that is priced per situation. By Clicking above, you will reach the Form to Submit to become a Partner. Sign Up for Your Own Branded Adobe Connect Pro Webinar Room!